I basically enjoy oatmeal every morning for breakfast. I believe that I’ve tried almost everything in it from nuts, fruit, brown sugar, cinnamon, blueberries and on and on. I love it! Oatmeal is not just for breakfast. You may be surprised to learn that oatmeal; yes this wonderful breakfast cereal which is now being served at McD’s; is awesome for your skin. 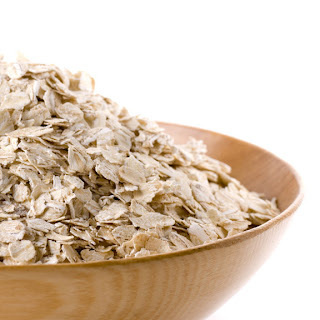 Oatmeal is one of the best natural treatments for dry skin. Oatmeal helps to relieve dryness, restoring natural moisture balance to aid in healing minor skin irritations. I love to enjoy a simple and quick oatmeal facial at home and I would like to share the recipe with you. Directions: Grind oats in blender or food processor until oats have a fine consistency. Pour into a jar, cover and use as follows. Pour a small amount of ground oatmeal into palm, and add a little water to make a paste. Apply to face and throat and massage onto skin. Rinse and follow up with natural moisturizer. Here is a treasure that I created in Etsy using the search word Oatmeal. 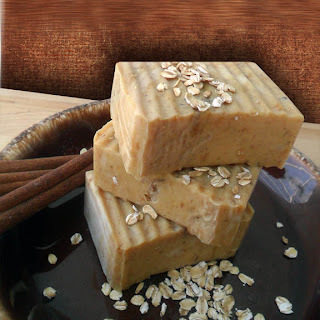 I have just created a new batch of my Honey Bee Oats & Cinnamon soap. This soap is loaded with oatmeal. This oatmeal soap will remove surface dirt and impurities while providing a very gentle exfoliation, leaving skin smooth, soft, and clean. I hope that you enjoyed your Holiday weekend as much as I did over the past Thanksgiving weekend. It was awesome to take some time off work and hang out with my family. This soap looks 'delicious'. I love a soap that gently exfoliates. Ooooh, I NEED this soap, Paula! My skin is ridiculously dry this time of year! I love to eat oatmeal for breakfast, too. (I like to toss in a few dark chocolate chips). The honey bee oats and cinnamon soap sounds wonderful. I will definitely try that one! How great! Thanks for sharing this over at Cutting Up With Class. Sounds great! I used to use a facial scrub with oatmeal and loved it. Thanks for the info and for linking up with us at Cuttin' Up With Class. loving the oatmeal, we call it porridge oats here in the UK. Also read that its good used in the bath as a water softener! Bet your soap is good it sure looks it. Just dropped by from CUWC. Hi Paula, Thank you for the facial recipe! I've used oatmeal only for my muesli yet. Your soaps look fantastic as always. I'm sure they have a wonderful scent too. Now you might be wondering what exactly is botox, and how it works.